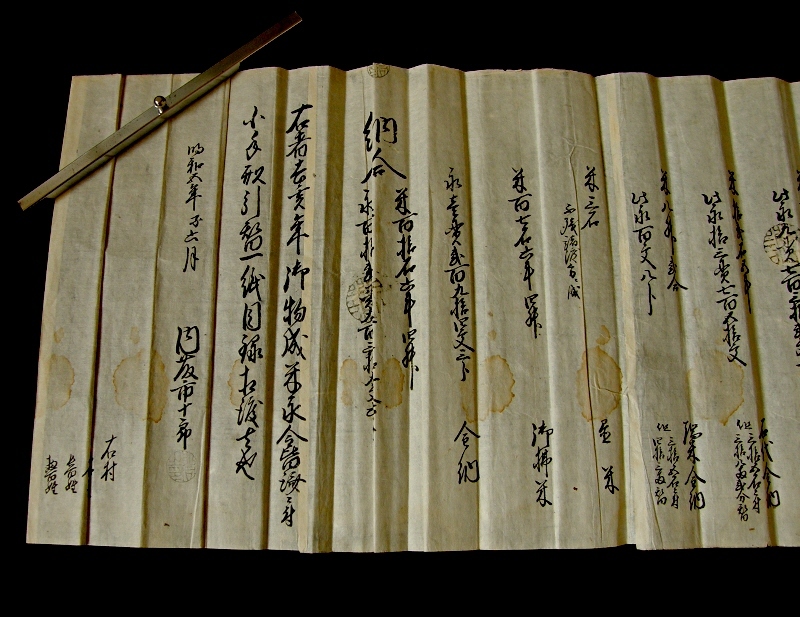 Japanese antique document written in 1767 at Higashimuki Village of Kai Province in Japan. The place is now in Sutama-cho of Hokuto-city of Yamanashi Prefecture. 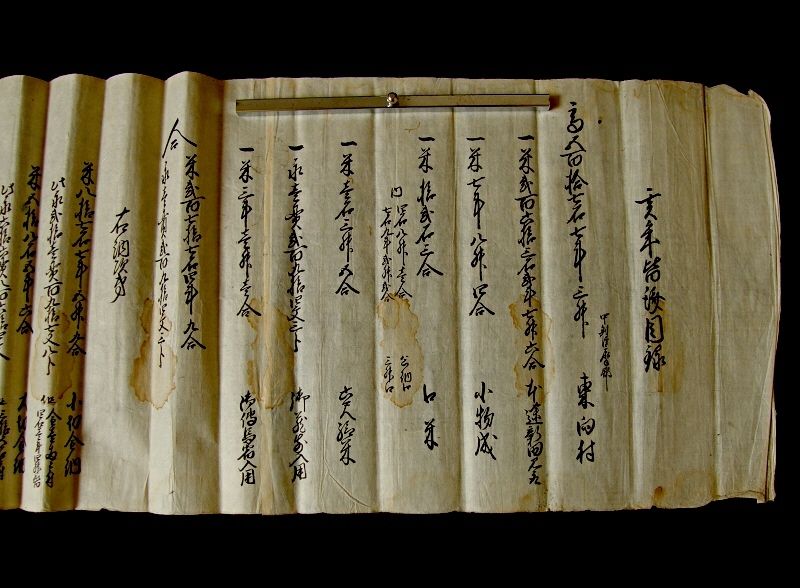 The document is a list of donors for rice for the event. 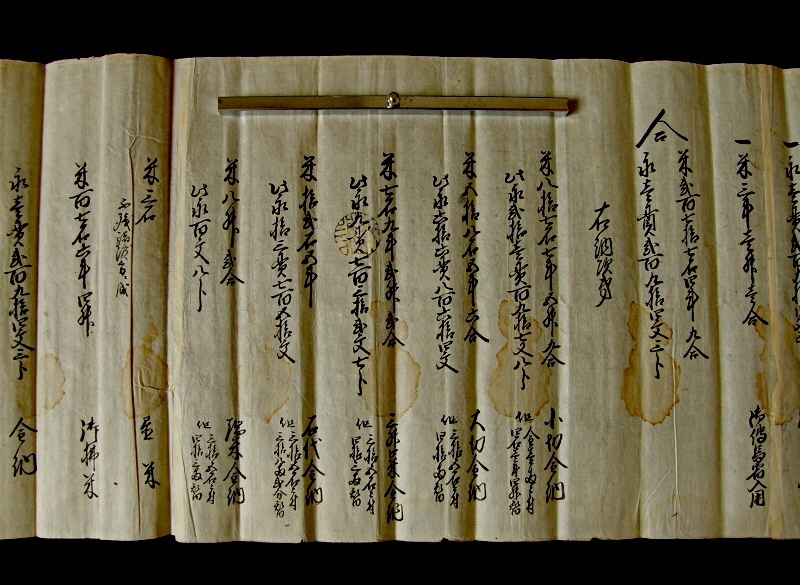 The document was written by the village head. 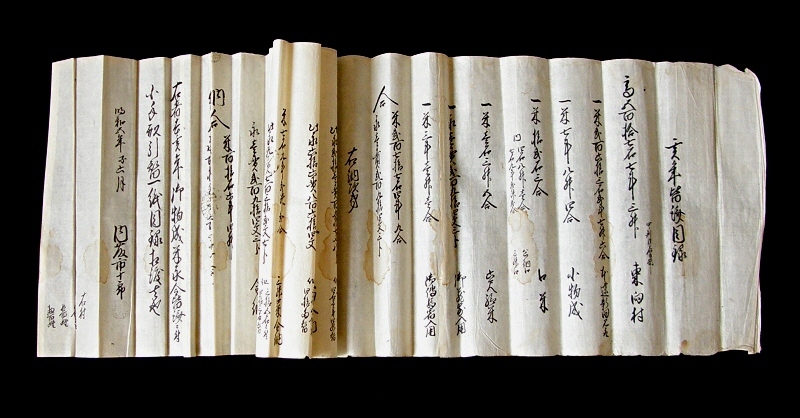 Although, it is interesting material.